Electric vehicles are heavily subsidized by the federal, state, and local governments. Based on a study I just completed, the federal subsidies are worth over $42.7 billion to their recipients over the lifetime of the programs. They include the federal grant and loan programs for manufacturers, and the consumer tax credits worth $7,500 per consumer. State and local governments also provide tax credits to purchase electric vehicles (up to $7,500 per consumer), subsidize investments in charging stations, and even offer perks such as access to HOV lanes, access to free vehicle charging, and free meter parking (in Hawaii). Then there is California. California mandates that zero emission vehicles (ZEVs) must comprise a set percentage of the automobile market, along with the nine other states that have adopted California’s policy. Under current law, ZEVs must equal 22 percent of the market by 2025. 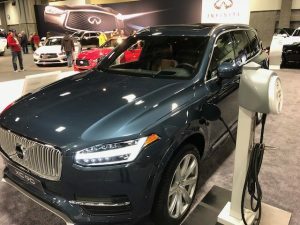 All companies that do not sell their designated share must: pay a $5,000 fine per ZEV credit they are short; purchase credits from companies whose ZEV sales exceed their requirements; or sell ZEVs in California at lower prices to increase market share, possibly risking a financial loss. As many companies who fall short choose to purchase credits from companies whose ZEV sales exceed their requirement, the sales mandate has become a large subsidy to select electric vehicle manufacturers, such as Tesla who has earned $700 million in credit sales to date. There are also distributional impacts from EV subsidies. IRS Statistics of Income data illustrate that, for the 2014 tax year, 78.7 percent ($207.1 million) of the federal consumer tax credits were received by households with an adjusted gross income (AGI) of $100,000 or above. A further 20.5 percent of the tax credits ($54.1 million) were received by households with an AGI between $50,000 and $100,000. Put differently, over 99 percent of the total tax credits went to households with an AGI above $50,000. Putting it all together, the size of the EV subsidies are substantial, EV subsidies favor certain competitors over others, and the subsidies benefit upper-income households at the expense of lower-income households. These realities raise serious questions regarding the wisdom of the current subsidy policies. 1) Have electric vehicle subsidies improved the viability of an unsubsidized electric vehicle market? 2) Does the heavy subsidization of electric vehicles discourage the development of other low-emission technologies that could be a better low-emission alternative than electric vehicles? 3) How should government develop EV policy with respect to other transportation fuels? The answer to your first question is yes, EV subsidies have improved the viability of an unsubsidized EV market as shown by the recent introduction of mid-priced cars such and the Tesla Model 3 and Chevy Bolt. EV batteries are now on a strong downward cost-curve and EVs will probably be cheaper than an equivalent internal combustion engine (ICE) car within a decade, especially when the lower cost of EV “fuel” is taken into account. But as a new technology, EVs are relatively expensive so government subsidies to kick-start the market makes sense. It also makes sense that wealthy people were the first to take advantage of this new expensive technology. But I find the premise of your post flawed. You seem to imply that EVs are subsidized but ICE vehicles are not. Fossil fuels are highly subsidized and, when climate impacts are included, are perhaps the most highly subsidized product in history. And while EV subsidies will end when the price of EVs drop enough, the climate impacts of fossil fuel use will continue for hundreds to thousands of years. These climate impacts hurt the poor the most and are already causing multiple times the $42.7 billion figure you use above, every year in the US alone. So if we want to minimize the overall subsidies for cars and reduce the financial (and other) impacts on the poor, then we should increase subsidies for EVs significantly so that we can displace the heavily subsidized ICE vehicles as quickly as possible. Dan, I agree with you that ICE technology should not be subsidized. Neither should ethanol or other low emission technologies. While your premise that electric vehicles may be the future technology standard may be correct, this does not erase the costs of the subsidies, nor the lost opportunities for other technologies that the subsidies caused. This is the impact that is too often overlooked. But I would emphasize your use of the word “probably” as the key caveat with your comments. Predicting the future is perilous and using government money to tip the scales in favor of one industry or one company leads to disappointing outcomes more times than not. Much better for the government to focus on core functions like basic science and let consumers and producers discover what the next technology standard should be. Wayne, you say that you agree that ICE vehicles should not be subsidized. But the real ICE subsidies are already orders of magnitude higher than the EV subsidies you complain about. That’s why my point is if you want to minimize overall vehicle subsides, you should increase subsidies for EVs (and other non-fossil fuel alternatives) in order to phase out fossil fuel vehicles as quickly as possible. As for which technologies will “win” the vehicle race, I think it is pretty clear that EVs will be the preferred solution for cars and light-duty vehicles (and even heavy duty vehicle as demonstrated by the recently announced Tesla Semi). EVs are better than ICE vehicles in every way except initial cost and range between fueling and both of those items are improving rapidly. As for biofuels, the life cycle emissions of first generation biofuels (like ethanol) are quite poor. While there is hope that next-generation biofuels will have improved emission profiles, they will be best used for aircraft and other heavy-duty applications. ICE vehicles running on biofuels will have all of the disadvantages vs. EVs that fossil fuel-powered ICE vehicles have (except for the high net emissions). EVs are simpler, more reliable, safer, faster, more fun to drive, more convenient to fuel (at home) and operate, and are much less costly to “fuel” compared to fossil fuels or biofuels. We should expand EV subsidies and do what other nations have done and set a phase-out date for fossil fuel-powered ICE vehicles. Dan, I can’t help but disagree with the concept that the total amount of ill-advised subsidies can be decreased by paying more money out in subsidies — to any part of the industry. The best way to reduce overall subsidies is to eliminate all subsidies, not increase the total dollars paid out. As for the future technology standard, there are many instances where technology advances in surprising directions. The subsidies distort which direction the technology advances, and the global history of these subsidies are not encouraging. This includes “setting a phase-out date for fossil fuel-powered ICE vehicles”. As you note, EVs are not yet ready to replace ICE vehicles. Maybe the schedule will be met, but maybe not. It can be very costly to mandate a phase-out when the viability of the next technology is not known. The other countries you cite who are doing this are also paying a high cost for these decisions. The indirect subsidies are far, far higher. They include the health impacts of burning fossil fuels, the military costs of keeping oil supply lines open (including the trillion-plus dollars for the Iraq war), and the cost of climate change impacts (which last for hundreds to thousands of years). When these are included (and the discounted cash flow of future impacts is accounted for), the subsidies for oil are many trillions of dollars per year. These indirect costs are not theoretical. They are real and must be paid through higher taxes for military spending, disaster relief and health costs, higher insurance costs, higher uninsured losses, higher food prices, etc. But let’s stick with the direct impacts. In your report, you say the direct EV grant program costs $2.4B over the life of the program. Let’s say that program speeds up the conversion from ICE to EV vehicles by only one year (it’s probably going to speed up the transition much more than that). That $2.4B direct EV subsidy will then reduce direct oil subsidies by $20.5B * 71% = $15B (71% of oil is used for transportation fuels). So spending $2.4B on EV subsidies is a great way to decrease overall subsidies. Of course, the real subsidies for oil are many orders of magnitude higher than $20B/year so the actual reduction in subsidies by investing in EVs is much more. In any case, your premise that subsides are inherently bad is just not true. If the thing being subsidized provides social value, then it makes sense for the government to subsidize it. Cancer drugs and weather reports are government subsidized. Of course, roads, bridges, and traffic lights are a huge government subsidy to the ICE (and EV) industry. Are you suggesting that the government should stop funding the construction and maintenance of roads? Transitioning from ICE to EV vehicles as quickly as possible will provide tremendous social good. Besides reducing government subsides to oil companies, it will also improve our citizens’ health and improve our national security. As I said above, we should expand EV subsidies and do what other nations have done and set a phase-out date for fossil fuel-powered ICE vehicles. Note that even if, as you say, a phase out of ICE vehicles may be expensive because EV technology is not ready (I doubt that will be true), the cost of not transitioning quickly will be much higher, so it’s a good thing to do anyway. We are not operating in a vacuum. Climate impacts are growing, becoming more expensive every year, and they pose a clear and present danger to our society. Time is of the essence in transitioning to a clean energy economy. First of all, I’m not sure why “universally” is included in the statement. EVs can (and do) provide a dramatic reduction in GHG emissions and other pollutants but that reduction may not be dramatic in every single location (like locations that are powered exclusively by coal, though EVs still provide some benefit there). 3. The EV subsidies can and did help address the “Catch 22” situation of EVs being expensive so costs were too high to attract buyers and encourage infrastructure (charger) deployment. The current and coming availability of moderate-cost, long-range EVs (Bolt, Model 3, etc.) and rapidly expanding deployment of charging infrastructure shows that the subsidy program did what it intended to do. 4. While EVs are often partially powered by fossil fuel sources, (a) they emit less GHG even when fully powered by fossil fuels because EVs are inherently twice as efficient as ICE vehicles (because ICE vehicles lose half their energy to heat from combustion) and (b) it is much easier to clean up a relatively small number of power plants (as is happening now) than it is to clean up millions of cars. So, the EV subsidies were and are a wise use of public funds. Dan, you are confusing two issues when you raise cancer research, or even research into battery electric vehicles if conducted by the federal government — note this is basic scientific research, not applied research that has a direct commercial value. Basic research is a clear public good, and is an important function of government. If done well, this is not a subsidy in the way we have been discussing the subsidization of private companies by the government. Just because it is valid to perform basic research does not make it valid to subsidize private companies. As for your questions regarding the universal validity of electric vehicles, certainly there are studies that show a benefit. There are also studies that raise questions regarding the current state of the technology and its overall GHG impact. Remember, mining for rare earth elements is environmentally damaging. So is the disposal of the batteries once they are used up. Producing EVs also emits more GHGs. Then there is the issue of battery performance across different climates, and the issue of power sources for electricity. You put all of these together and it is clear that there is not one universal solution that works for everyone. There are also important banal details that impact the viability of EVs that we have not even discussed yet. For instance, in many cities people (particularly lower-income) are forced to park their car on the street as they do not have space/cannot afford a garage. This limits their ability to charge an EV at night and will, consequently, reduce the value of EVs. This is my fundamental point. By subsidizing one solution you tilt the outcome in favor of that solution. There are simply too many unknowns currently and we do not know which solution is the right one. Yes, the government should perform basic research. But, no, it should not subsidize one answer to the detriment of others. 1. You are ignoring the direct and indirect subsidies of ICE vehicles that are much more costly and dangerous than the EV subsidies you are deriding. The EV subsidies reduce the cost and danger of those ICE subsidies so EV subsidies are a good thing (and, as I pointed out, the EV subsidies actually appear to be achieving the goal of speeding the adoption of EVs). You can’t say that EV subsidies are a bad thing without putting them in context of the direct and indirect ICE subsidies. Reducing the impact ICE vehicles is the reason there are EV subsides! 2. Your premise that it is only government’s role to fund R&D and that market forces always do a better job of picking winners and losers is just not true. The weather satellite subsidy is not for R&D. Building roads, bridges, and traffic lights is a direct subsidy of the car industry (why not build public transit instead?). Unregulated market forces gave us climate change and private industry (including private industry-funded think tanks) fought and continue to fight against addressing this serious threat to our civilization. It is government’s role to intercede in markets when market forces will not provide the best outcome for society. This is one of those situations. As we have seen subsidies for natural gas exploration, solar energy, biofuels, and now electric vehicles — all ‘modern’ subsidies allow higher cost technologies first to enter the market, and then to be scaled-up in the market. So clearly the higher income first used their tax liabilities for solar electric systems, which has enabled solar to scale, employ more workers than the extractive industries, and now be available to low-income households via community solar projects. Ethanol was higher in cost that gasoline octane additives and now is less than those additives. Electric vehicle consumer market expansion, due to tax credits, has manufacturing volumes up and costs lowering. Electric vehicles are lower-cost to own – less than half the costs per mile than petroleum vehicles without lots of maintenance (oil changes, fuel injectors, starters, gas pumps, mufflers, etc). buy they cost essentially 50% more than mid-range priced vehicles (but equal to the higher-cost, higher-end cars). So the tax credit is an essential tools to scale a new industry which bring multiple assets for American taxpayers, ratepayers, drivers, and workers. The issue of whether subsidies to EVs favor the wealthy is quite similar to the issue of net metering for solar systems. People who were financially better off and owned homes enjoyed the subsidies associated with installing solar systems, while others who rented apartments did not. The need to act fairly with all members of the public has become a very large and contentious issue and a number of States that once offered net metering subsidies have begun to back away from them, sometimes creating additional contentious issues. Perhaps the solution to this fairness issue in the transportation sector is to also subsidize mass transportation, perhaps with a zero fare and more extensive commuter lines. One should be able to assure that all members of society benefit equally with a combination of EV subsidies and mass transport subsidies. In fact, electrified buses and trams in city areas may provide the largest reduction in GHG per subsidy dollar, provided that the utilization factor for mass transportation is high enough. Zero fares could help mass transportation reach high utilization factors. Further, electrified buses can be made to operate without batteries, using super capacitors instead. With limited supplies of lithium and with the USA only having 0.3% of the world’s supply of cobalt, there may be significant caps on the number of EVs that can be built, making electric buses and trams with rapid charging super capacitors a necessity for areas with high population densities.